In preparation for Ch1Con this coming weekend, we’re posting interviews with all our wonderful speakers this week! 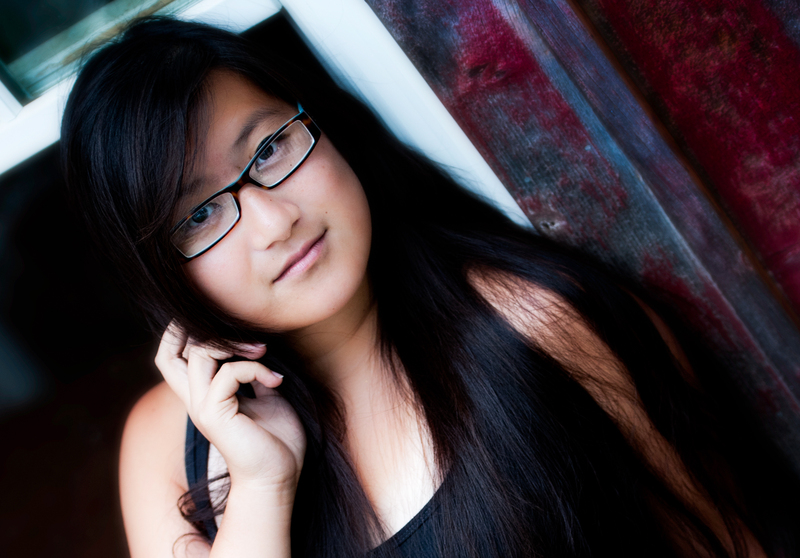 Today’s interview is with Amy Zhang, who will be our keynote speaker on Saturday and participating in our panel. Hi! I’m Amy. Parentheses are my favorite punctuation marks. I broke my typewriter and don’t know where to get it fixed. I still don’t have my driver’s license. I have really weird thumbs. I want to study abroad in Prague someday. I drink too much coffee and I eat too much chocolate. 2. You’re debut Falling into Place comes out with Greenwillow/HarperCollins in September. When you started writing, was it with the goal of someday publishing a novel, or just for fun? Hmm. I guess I wanted to publish, but I was more focused on small things—literary magazines and the like. I wrote a book because I was bored and lonely and afraid that I wouldn’t get into college, and I figured that having a poem or story published would be something to write on my applications, at least. So I bought a notebook and I think maybe I was going to write a short story, but it ended up being a book. It was a really bad book. I don’t think I ever even titled it. But when I came up with the idea of my second book, I also started thinking about publishing. I wish I remembered better how I came to that decision—I’m totally blanking right now—but it felt right at the time. It still does. I think it always will. 3. Your literary agent is Emily Keyes of Foreword Literary. Can you tell us a bit about what working with an agent is like? Absolutely! I love love LOVE working with my agent. Agents are different, but when I was querying, I knew that I needed someone who wanted to do some editorial work and was willing to hold my hand a bit more. Usually, we do a round or five of revisions before she sends a project out to editors. I send her frantic emails on a regular basis and she tells me to chill. Emily is basically my fairy godmother. 4. You recently spoke on a panel at BEA (Book Expo America). How was that? Terrifying! Being on a panel at all with Becca Fitzpatrick, Amanda Maciel, and Kresley Cole had already left me starstruck and tongue-tied. When Jason Segel wandered past and watched for a bit, I wasn’t tongue-tied anymore—I had just forgotten the entire English language. So my answer to the first question, “How would you describe your teenage self?” basically came out, “Um, I’m Amy, and um. Um. Yeah.” But it was also TONS of fun. I learned a lot from the other authors I was on the panel with, and it was just a great overall experience. I’ve played piano for fourteen years now, so I have kind of a married-couple relationship with music. I also play tennis, and I love ceramics. Oh, who am I kidding. Outside of writing and reading, my activities are basically sleeping, eating, binge-watching TV shows, and having existential crises. I’m spending the summer writing, wasting as much time as possible at my favorite coffee house with my friends, and finishing the tree of quotes on my wall. In the fall, I’ll be heading off to New York for college! LIES WE TELL OURSELVES by Robin Talley, THE ZOO AT THE EDGE OF THE WORLD by Eric Kahn Gale, THE GLASS SENTENCE by S.E. Grove (I’ve just started this one and OMG SO GOOD. ADD IT TO YOUR TBR PILES RIGHT NOW), DANGEROUS GIRLS by Abigail Haas (I just got this one! ), and LET’S GET LOST by Adi Alsaid.